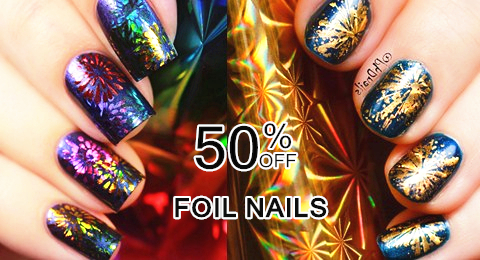 Holographic Nail Foil $1.29, Shop Now! BP Chameleon Sequins Nail Polish Eternal Life, Shop Now! BORN PRETTY Chameleon Nail Glitter $0.99, Shop Now! Starry Glass Paper 3D Nail Sticker $1.29, Hurry Up! BP Chameleon Sequins Nail Polish Lyphard Melody, Shop Now! BP Chameleon Sequins Nail Polish Sunset Glow, Shop Now! BORN PRETTY Silkworm Gel Polish $3.59, Shop Now! 3 Boxes BORN PRETTY Marble AB Color Nail Sequins $1.99, Shop Now! Eyeshadow Powder Portable Silicone Stick $1.99, Shop Now! BP New Pearl Stamping Polish $3.99, Shop Now! Irregular Glitter Glass Paper Nail Flakies. Hexagon Sparkle Colorful Glitter Powder Sequins $0.99, Shop Now! BP Magic Pearl Shining Mirror Powder $1.29, Shop Now! BORN PRETTY Red Glitter Sparkle Gel $3.59, Hurry Up! Ink Painting Romantic Flower 3D Sticker $0.99, Shop Now! Born Pretty Unicorn Chrome Mermaid Nail Powder. Shop Now! Merry Christmas Nail Sequins $1.69, Shop Now! Get $20 off on Bornprettystore winter nails with code SAVE20 at checkout. Holographic AB Color Nail Sequins $2.29, Shop Now! BORN PRETTY Metallic Nail Polish $4.99. Shop Now! BP Mixed Size Holo Silver Nail Flakies $0.99, Shop Now! Irregular Foil Paper Nail Flakies $1.29. Hurry Up! 1 Box Rhombus Colorful Nail Flakies $0.99, Shop Now! BP Purple Hexagon Sparkle Glitter Sequins, Shop Now! Colorful Ink Painting Transfer Nail Art Decal $0.99, Shop Now! 12 Patterns Big Sheet Rose Transfer Decal, Shop Now! 3 Rolls Holo Laser Adhesive Nail Striping Tapes, Shop Now! BornPretty NEW 19 Stamping Plates, Shop Now! Silicone Beauty Sponge Foundation Applyer $2.39, Shop Now! Gold Silver Metal 3D Nail Sticker $1.59, Shop now! Marquise Holographic Laser Nail Stud. BP Long-lasting Pumpkin Series Nail Polis. BP Grey Series Long-lasting Nail Polish. 14 Tips Music Notes Nail Wraps Full Stickers $0.99. 12 Patterns Unicorn Nail Water Decal $1.29, Shop Now! BORN PRETTY Neon Unicorn Mermaid Nail Powder USD $1.99, Shop Now! BORN PRETTY Thermal Stamping Polish $3.59 with code sale10 at checkout. BORN PRETTY Christmas Stamping Set $19.99 with code sale10 at checkout. Nail Art Stamper with Scraper $1.29 with code sale10 at checkout. 24Pcs Colorful Round Rhinestone Nail Decoration. 2 Sheets Cake Dessert Emoji Water Decal $0.99, Shop Now! 1 Sheet Lavender Fresh Flower Nail Water Decal. 5Pcs UV Gel Drawing Liner Brush Manicure Pen. Purple Mermaid Pearl Nail Glitter $0.99, Shop Now! 50Pcs False Nail Tips Nail Display Tool $4.29, Shop Now! BORN PRETTY Laser Holographic Nail Flakies $0.99. Thermal Night Glow Nail Art DIY Powder $1.99, Hurry Up! BORN PRETTY Holographic Laser Powder, Shop Now! BORN PRETTY Mermaid Shell Powder $1.39, Shop Now! Born Pretty Halloween Nails $0.99, Shop Now! Black Friday Free Gifts, Shop Now! Born Pretty Umbrella Round Stamping Plate $1.59, Shop Now! Born Pretty Colorful Mirror Nail Powder Only $1.29, Hurry Up!!! Born Pretty Luminous Candy Color Soak Off UV Gel Only $3.99, Shop Now! Mermaid Candy Color Nail Striping Tape Line Only $1.29, Shop Now! Born Pretty hottest nail art products collection 70% off, Shop Now! Bornprettystore has thousands of items ranging from Makeup Kit(lipsticks, Eye Shadow,Eye Lash), Jewelry(bracelets, necklace, earrings, rings,etc), Clothing(tops, pants, leggings, skirts, jackets & coats), Hair decorations to Cellphone Case Covers and more. 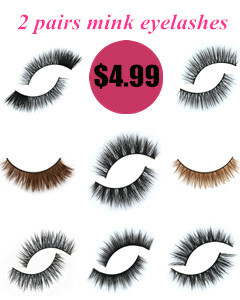 Born Pretty Store provides variety of beauty products, sell them at the best price, and offer the best service. Bornprettystore offers world wide free shipping and has already shipped to more than 150 countries including United Sates, United Kingdom, Canada, Australia, France, Germany, Russia, Italy, New Zealand, Spain, Brazil, Japan, Singapore, Korean, etc. Found a coupon for Bornprettystore?